Yikes! How did it get to be November? What are all these leaves doing? Where's my sweater . . . it's COLD outside! 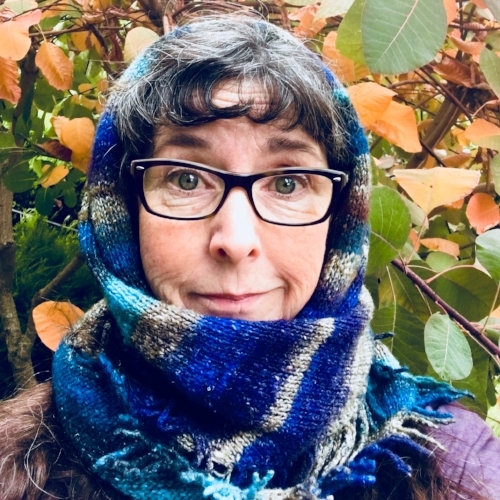 We're hurtling toward the end of the year and the holidays are upon us (EEP!) I'm planning menus and family gatherings and . . . and . . . (must breathe! BREATHE!) I'm already buying Christmas gifts. And I'm also beginning to look over my shoulder and see what a wonderfully busy year it's been, full of travel and projects. I'm probably most proud of where my songwriting is headed. Call me a fathead, but I like my songs. I guess it's silly to think I wouldn't like my own songs, but you know how loudly the little judge (the one that sits on your shoulder?) can work us over. That little guy is SO effective at making us think we can't dance, or that we can't sing; mine likes to blat at me that my songs fall short. But whenever I'm driving and my songs pop up on my iPhone after not having heard them for awhile, they sound fresh to me. And then, pleasantly familiar, like old friends. They make for lovely company, even if I do say so myself. 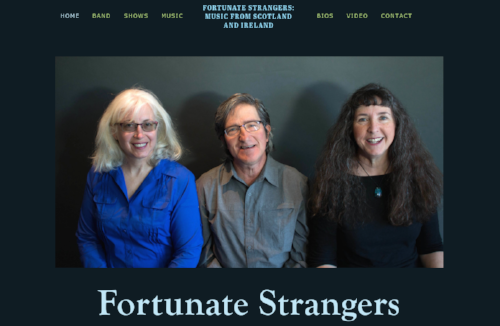 Fortunate Strangers has a new CD ‐ it's an EP (Extended Play) album with six songs and it's in the replication pipeline as we speak. It's called The Road I Travel and we'll have it available to sell at performances and on mystore when we have it in hand! Stay tuned for the announcement of its arrival! Meanwhile, you can listen to it on our website!